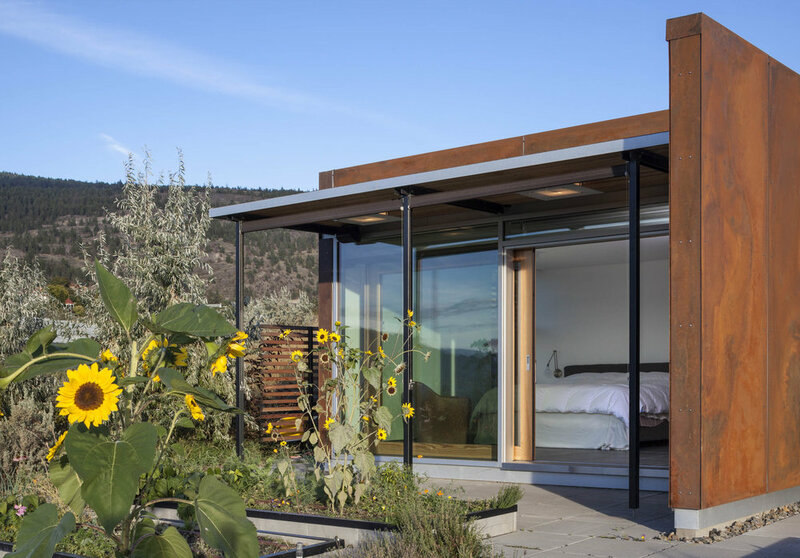 The house is composed of three distinct volumes, set into the top of a clay ridge above the village of Naramata. The configuration of the land, with a steep slope facing the road, limited frontage, and a large no-build covenant, made it practically impossible to create conventional access to the most desirable part of the lot, with its southern exposure and views. The solution was to bury the garage deep into the slope and climb from there through the floor of the Glass House, situated on the ridge top. A site with very limited potential could thus be unlocked to provide privacy with a panoramic view. The Cave (garage) provides a discrete and mysterious entry point to the site. Sheltered deep in the ground, it acts as a sort of airlock between the world outside and the private refuge of the house. 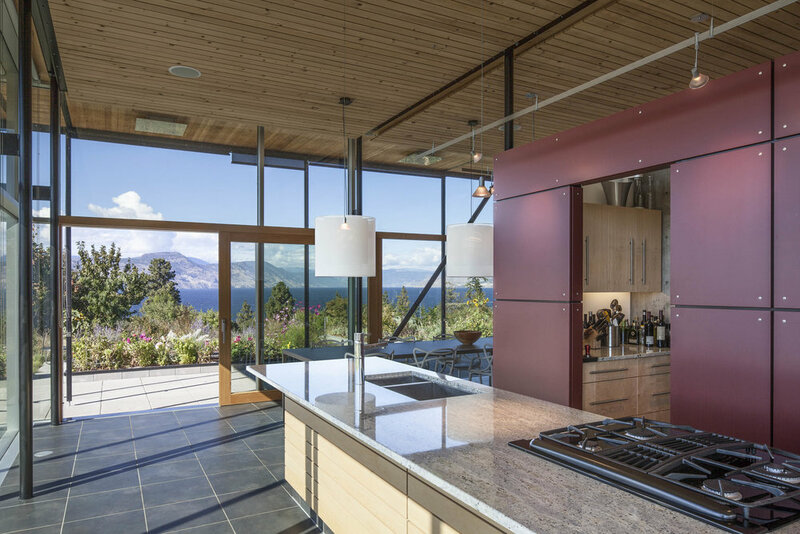 The Glass House accommodates the public functions of living, cooking and dining in complete communication with the exterior. 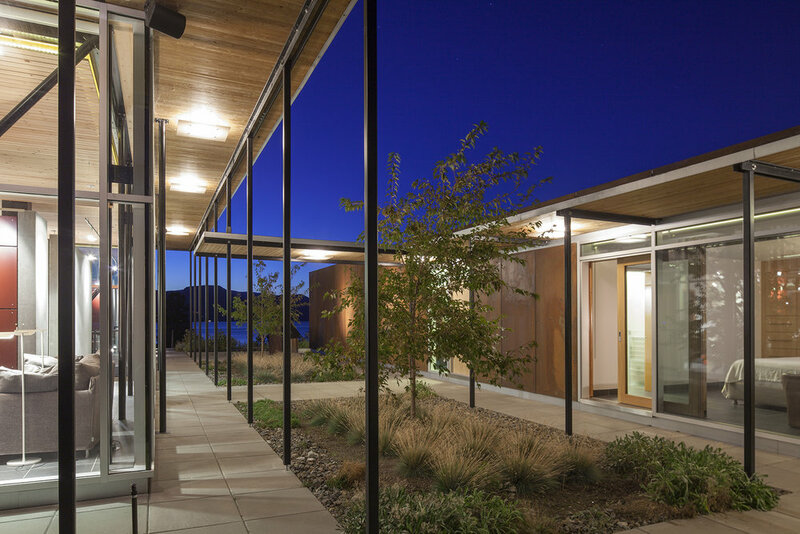 Generous canopies, large sliding doors, and contact with the thermal mass of the earth provide simple and effective passive responses to a hot, dry climate. The Earth House is connected by a covered walkway, and sheltered in the hillside under a green roof. It houses the main bedroom, media room, guest room and art studio. 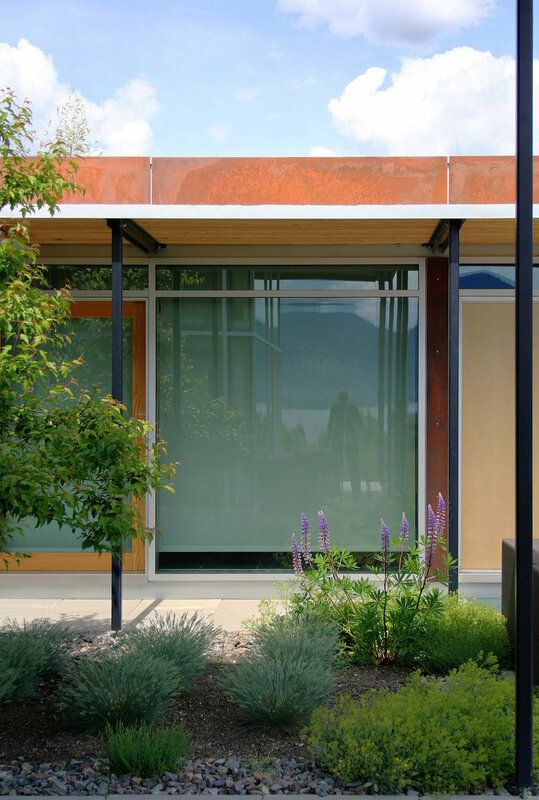 The exterior walls are clad with rusted steel. 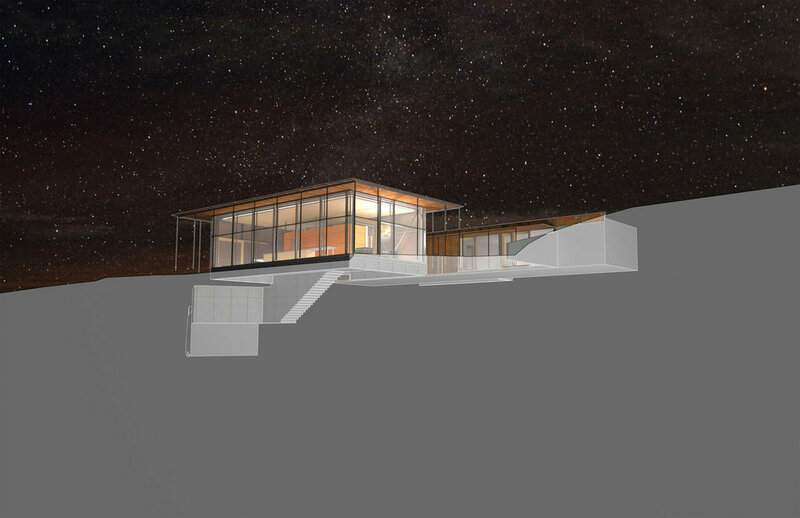 The Earth House, Glass House and Cave are simple, understated shapes that will be animated by the dialogue between their distinct material personalities, the contours of the hill, and the landscape they reveal.